It doesn’t look like the iPhone 8 speculation is going to die down anytime soon, so we may as well embrace it. After a relative period of calm, JP Morgan analysts have now made some additional predictions about Apple’s upcoming iPhone, suggesting that it could ship with an “enhanced audio receiver”, better stereo sound, and possibly IP68 waterproofing. On and the AirPods will be bundled in-box as standard. We’ve been privy to plenty of speculation about Apple’s next iPhone, including multiple sources suggesting the improvements that will be made from a hardware perspective. However, to the best of our knowledge, this is the first time that any analyst or well-placed individual has made suggestions about an improved receiver in order to dramatically enhance the sound output and quality over the existing iPhone 7 range. The analysts for JP Morgan have come to this conclusion by keeping an eye on Apple’s Asia-Pacific supply chain, but haven’t gone into specific details on the audio improvements that could potentially be achieved with this new receiver integration. 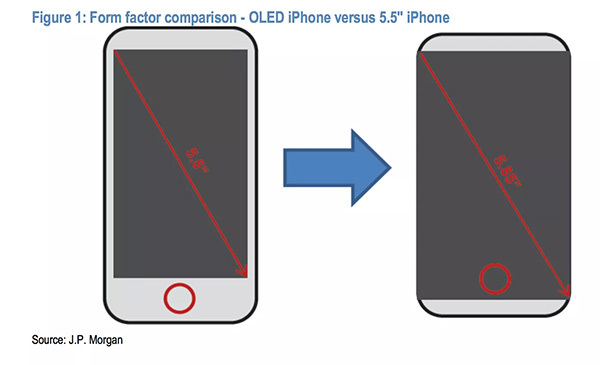 Apple made significant improvements in that area as part of the move from iPhone 6s to iPhone 7, but it’s reasonable to assume that any change in internal component would at least allow the device to ship with a higher maximum volume output. Additionally, the same analysts are also making a rather bold claim that Apple could be gearing itself up to ship each purchased iPhone 8 with a set of truly wireless AirPods in the box. The company’s iPhone 7 hardware shipped without a 3,5mm headphone jack, which in turn meant that there was an audio adapter placed inside the box to allow the standard headphones to be used. JP Morgan believes Apple could solve any current inventory issues with AirPods in time to actually include them with each iPhone 8 purchase. 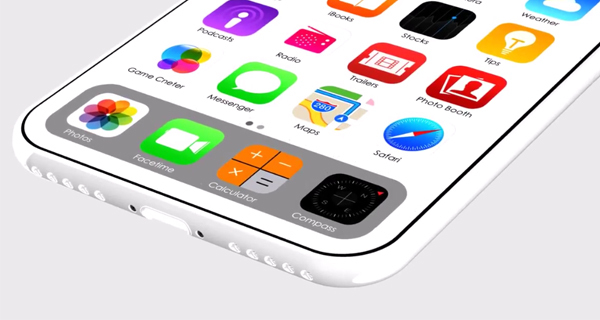 Moreover, JP Morgan is also suggesting that the device will utilize an iPhone 4s design of sorts with a stainless-steel frame sandwiched between slabs of glass. As for the display, we’re told that while the iPhone 8 will have a bezel-less 5.8-inch OLED display, the bottom and upper part of the phone however will sport a slim bezel. The inclusion of bezels, and interestingly the small circle on top of the display as shown in the provided Figure: 1 above does seem to suggest that we could see a Home / Touch ID button under the display. However, the summary table lists “Fingerprint sensors” as an unknown for now. These are definitely interesting claims, especially the AirPods one. The idea of bundled pair of AirPods could sit very well with prospective consumers who were looking to buy iPhone 8 when it is launched. However, before that could happen, Apple would seriously need to sort out the stocking levels which has so far blighted the AirPods experience. Even now the estimated shipping date is sitting at approximately six weeks, which doesn’t really bode well for a company looking to box this particular accessory up with millions of devices. Yeah right, the iPhone will never come with AirPods. If they do they will raise the price like crazy. Samsung bundles 10 different things with its devices to get them to sell. if the 8 comes out as a limited edition type deal bundled with the airpods at no more cost it would be the biggest selling iPhone in history easily. I’ll be getting one…been on the 6+. Not like crazy, just $169.00 dollars extra. Shoutout to my bank©️ for the updated speculation..
You think so? I hate my iPhone 7 l. After this I’m done with iPhones.